Are you a bit confused by Kodály and solfa? Can’t tell movable do from fixed do or Curwen hand signs from Kodály rhythm syllables? Tune in to this episode for a simple run-down on solfa and how you might use elements of Kodály methods in your studio. Well hey there beautiful teachers welcome to 2019. It is fantastic to have you back with me again and if you’re just joining me for the first time on the podcast. Make sure to subscribe in your favorite podcast player so that you get the next one as soon as it goes live. Now in today’s show I want to take you into the world of Mr. Zoltan Kodaly and the world of solfa. Now just a quick note about this episode. 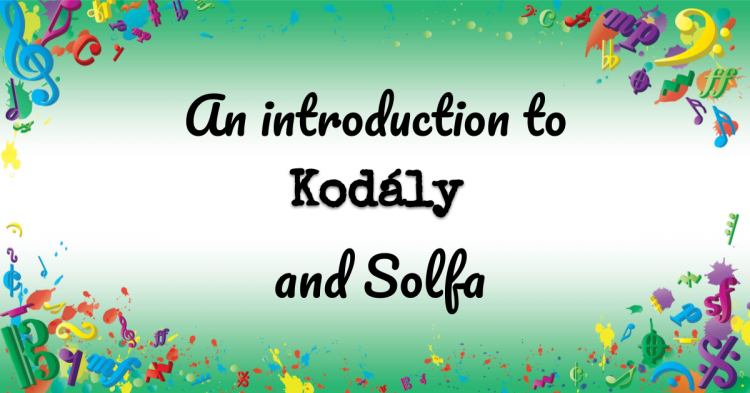 This is really for those who are not super familiar with Kodaly in general or solfa teaching maybe have done a little bit of training or have some experience but aren’t really familiar with the ins and outs of solfa and Mr. Kodaly and the methodology. So if you are very familiar with those if you’ve done extensive training perhaps more than I have then you might want to skip ahead to next week’s episode. Next week I’m going to be talking about how we can apply these principles and solfa in particular into the private music teaching studio. So if that’s more than what’s in what will interest you then hang on for next week’s episode Episode 27 if you’re interested though in what Kodaly is all about and you’ve always been a bit puzzled by it or you’re not sure of all the details then hang onto your hat and I’ll take you through it. In today’s episode because today what I really want to do is lay this groundwork. I know many people have heard somewhat of Kodaly maybe not even heard of it at all. But if you have heard of it you might not be familiar with exactly what it means. You might have heard it referred to as a method or something that’s used in classroom teaching mostly. You might have heard the connection with solfa . But you’re not really sure whether one is the same thing as the other or whether they’re just related. So that’s what I want to break down in today’s episode and make it as clear as possible for you. Now quick note on this as well. I am not some Kodaly expert. I do not have extensive training. 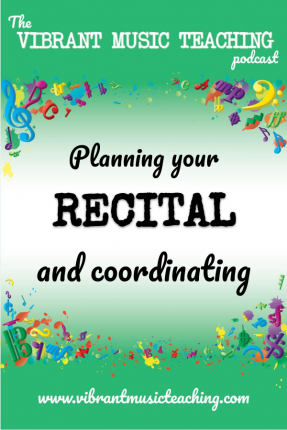 I have some training in Kodaly method and I incorporate it as I see fit. A bit like I do with everything bits and pieces as I want to. In my piano teaching studio. So if I say something and you’re thinking oh that’s not exactly the way I understand it. As someone with years and years of good training and experience then I apologize for any slight misunderstandings that I might have in advance but I do have quite a bit of experience in this area and I want to share what I know with those of you that are further behind on the journey than I am in terms of Kodaly. So first a bit about Kodaly. What he did he was a composer in Hungary and what he saw was a lack of music education in schools, ring any bells and he was astounded at the level of singing that these kids had in a particular school or so the story goes anyway. So he looked into it and he discovered that singing wasn’t being taught until secondary school and he thought that was shocking and he didn’t like the way it was being taught either. So you read wrote a series of articles and basically campaigned to get music into schools. He thought it should be taught every day. And after many years of campaigning for this he basically ran a pilot program in a school. It was the first music school in Hungary. And in this school they had singing every single day. I believe it was an hour in the mornings. And this school was such a success. From what I remember from my own training and lectures that I’ve been to it actually increased the students literacy and numeracy in those schools although I’m not sure of exactly how that was tested. But anyway this was then rolled out to over a hundred schools across Hungary and it was a fantastic program. So could I through this developed his own sort of methodology and that’s really what people are referring to when they referred to kids today. Is the methodology not really the man. Not really this particular program where they were taught for an hour every morning through singing. So could I as a methodology believes in singing first. He thought that every every child no matter how poor they were they all had a voice and that was their own natural instrument. And that’s what you should use to teach through to teach music because everyone had one or most people have one and it was free. So that’s the big reasons that he wanted to teach through the voice also because it was a natural instrument and it seemed the most instinctive to teach through singing could I methodology also believes as many do I experience for notation so interacting with things singing things and creating music before you’re introduced to the notation so you experience whatever concept it is before you actually see what it looks like written down you might also be familiar with the fact that Kodaly tends to use rhythm syllables. So this is usually in Kodaly Ta and Titi and then there are various different variations from there. Most people stick with time Titi the modified Kodaly syllables that I use in my studio are Ta, Ta 2 3, Ta 2 3 4 which is not a Kodaly thing that is from piano Safari and I like those because Ta a is fine, Ta a a a, I can get a bit easy to get lost I find so I like the counting for those and then there’s a lot of variations for the smaller subdivisions so very semi quavers or that sixteenth note to my American listeners some will use ticka ticka I like I do or some use Terry Terry or those various other different versions from there but all of those are loosely based on the Kodaly methodology and that’s where they sort of stem from I believe and then Kodaly also believed in teaching through folk music and what he called Quality compositions but the folk music is really what comes through in a lot of the early stages so children will be taught through folk music and folk songs and that means in a lot of cases starting with so and me from this off a scale. Now we’ll get into that more next week and where I differ in terms of the traditional could I methodology there. But suffice to say it starts with teaching simple folk songs normally using so me introducing LA and they should be native folk songs. So could I could I society if I could I Institute of Ireland will use Irish folk songs and the same thing in Hungary. So these are just songs that you would hear kids singing in the street as they do skipping games or whatever. And he believed that that was the most natural and that’s where the methodology starts out. A lot of these different things. And then of course it incorporates solfa which is really what we’re talking about today. Solfa is only one small part of the coding methodology. It is not the whole thing and it is not actually from Condi himself. Solfa in terms of how it’s used in Kodaly came from Kodaly believe interacting with Sarah Glover and John Kerwin who were in the UK in Great Britain. So Sarah Glover I believe created or at least popularized this cell further moveable do solfa system and John Kerwin adapted this further and actually the hand signs are from John Kerwin. They’re Kerwin hand signs although a lot of people call them Kodaly signs. And when I say goodbye to some people in fact in Ireland they say oh it’s all of this and they gesture with their hands making making hand signs easier are music educators. So that is not what Kodaly is about. It’s not just handsighns that is a very small part of it but it they are made use of. So let me explain some of those things. So first of all let’s talk about moveable do and fixed do. You hear this referred to a lot and it can be confusing again if you’re not familiar with solfa or solfege I say solfa you say solfege let’s call the whole thing off. It doesn’t matter which you say to be honest a good distinction for me is that I use solfa when I’m talking about moveable do and I use solfege when I’m talking about fixed do. But that’s not a rule that set in stone at all that’s sort of my rule or something I heard once and I thought it was a useful distinction. So I am talking about solfa and that’s what I use in my studio which is movable do to me with LA bass minor. Now what is moveable do moveable do means that do is the tonic of the major scale. So in other words moveable do solfa moves around. That’s exactly what’s called moveable do right. So movable do solfa means that do re mi fa so la ti do will always sound like a major scale no matter where you start it. This is one of the main reasons that I find it so useful and fixed so solfege as a whole other thing but fixed or solfege I believe really is just a replacement for the latter names of the notes C D E G A B and that’s fine but it’s not the function that I’m looking for in solfa because I already have the letter names I don’t really understand. Someone can write to me and explain why it’s useful to have both C D E and Do Re Mi with fixed do solfege. But to me that’s not particularly useful. What is extremely useful is having the two different systems one that is fixed like note names the letter names that we use for notes here and a movable system like solfa. So that’s why I use movable do and that’s what the difference is. I also use LA based minor meaning as I said Do Re Mi Fa So La Ti Do will always sound like a major scale if it’s a minor scale it starts on LA. Okay. And if it has the seventh obviously that’s suggested as well. So that’s what I use in my studio and that’s what I find extremely useful and that is what the DI methods generally entail as well is movable do and LA based minor solfa the Kerwin hand signs which I mentioned before those are hand signs to go with each note of the solfa scale. So there’s a different sign for dodo is like a fist Re is like a hand gesturing upwards and I won’t go on because describing hand signs over a podcast is extremely inefficient. So if you want to see the solfa hand signs they’re actually in a post on the colourful key site. Best thing to do is go to the show notes for this episode that’s at vibrantmusicteaching.com/26 2 6 and I’ll leave a link there for the post I did about solfa for piano teachers for beginners. So that will show the Kerwin hand signs and you can see them and what they look like they’re useful additional aid when you’re singing and I use them a lot for what I call with my students conducting them in solfa so leading in other words this solfa singing that we’re doing and it’s a good way to associate the different notes in different ways and feel them in your body in different ways. OK so why do I use solfa in my studio and why might you want to consider it especially if you’ve never come across this before and you’re a bit intimidated by the whole idea. Might be thinking what’s the point even of this. Is it just another giving to bring in just yet another thing to teach. No. I truly believe that solfa can really enhance your teaching and can help you to teach so many different things. So the first reason I started using cell phone my studio was actually for a site singing exercises. I started using solfa to teach these which are required in all exams of any instrument they have to sight sing they don’t have to use. They can say doo doo doo doo doo they can hum. It doesn’t matter but I was never really taught anything to do with the sight singing exercises. I was just told to have a go and I find it very frustrating as a student and very nerve wracking. I was terrified of that section of the exam even though it was only 3 percent or something I really dreaded it because I didn’t know what I was doing. I felt like I was just groping in the dark and especially when you’re already nervous you’re not going to sight sing something well especially if you don’t have a system. So I didn’t want my students to feel like that and I was coming across a few students who were getting to this stage where the sighting exercises got you know beyond your instinctive ability to just read them. So I was searching for a solution for them. I didn’t want them to feel the way I had and I knew that singing could be taught. I truly still believe that it absolutely can. No one is you know well. Very very few people are actually incapable of singing but a huge portion of the population believe that they can’t sing which is just ludicrous. And that’s a fight for another day. But anyways I was in sort of sight singing systems or ways to teach this to my students and that’s why I started with solfa because I had a vague idea that it might be useful and I as I learnt more about it I learnt that it truly was and I started incorporating it that way by teaching just in a small way. Now from there I started using it more and more and learning more about Kodaly and taking some Kodaly training and solfa began to become an indispensable tool for me for teaching oral training ear training to my students that they would be able to identify different things by ear figure stuff out by ear and all of that through solfa when they were familiar with solfa this made so much more sense to them as did keys in general you know feeling a key what it’s like to be in a key and what this note feels like what the tonic feels like what the dominant feels like is a very different thing to just analysing it on paper and solfa allows you it’s a tool to allow you to explore that with your students without getting overly theoretical about it which is so important. Self it also paves the way towards understanding so much about the relationships between notes and my most recent uses for it have included harmonizing simple melodies with my students. This is a really fantastic exercise that we do in body lessons where we’re working at folk songs by ear and we’re then using just do and so they’re all major folk songs just do and so they say to start to harmonize them so just the one and the five and that can harmonize most simple folk songs and we work it all out by ear and they understand it so much more than I did at their age. And then if we well if we told them about it or made them do theory exercise I never would at their level get them to do theory exercises on harmonizing something but through solfa so instinctive and natural that it just makes sense to incorporate this right from the beginning and they understand what they’re doing so much better when they approach from this angle. So that’s a little bit about why you yourself. Now as I said next week I’m going to dive into how I use self a lot more and the different exercises I do with solfa my studio and how you can bring it into your private music teaching studio no matter whether you’re teaching in groups or or one on one you really can yourself in your studio and it can be a fantastic asset for you in just a few minutes out of each lesson not with a huge commitment and you don’t need experience or amazing levels of Kodaly training to do it. It’s all music and you will understand what’s going on. Even if you haven’t thought about it in this way before so I’m excited to share those ideas with you next week. You can find the show notes for today’s episode at vibrantmusicteaching.com/26. That’s the numbers 2 6 and a quick note to vibrant music teaching members our office hours are coming up this week. So you’re going to want to check the calendar page for those or watch your email inbox. If you want to join me live and get any questions answered especially if you’ve got some new year’s resolutions on the go that you’re trying to put into action. Maybe you need some input from someone outside of the situation so you can see clearly what’s going on and I can help you more for it. So tune into those office hours if you’re a vibrant music teaching member. If you’re not a member then sign up just in time and you can join one of the office area calls as well. Thanks so much for listening today guys. I hope you enjoyed this dive into today and solfa and I’ll catch you again next week. Vibrant music teaching members can get the full solfa skyrocket course in the video library right now. If they want to dive into the area of sulfa and start using it with their students go to VMT.ninja today. If you’re not a member sign up and you’ll get access to that course instantly. The above audio transcript of “VMT026 An introduction to Kodaly and solfa.mp3” was transcribed by the best audio transcription service called Sonix. If you have to convert audio to text in 2019, then you should try Sonix. Transcribing audio files is painful. Sonix makes it fast, easy, and affordable. I love using Sonix to transcribe my audio files.